Must present coupon when order is written. Plus tax & shop supplies. Not valid with any other offer. Prior sales excluded. Valid only at Stewart Toyota. Some models higher. Synthetic oil additional. Toyotas only. Must present coupon when order is written. Plus tax & shop supplies. Not valid with any other offer. Prior sales excluded. Valid only at Stewart Toyota. Service and replace transmission with genuine FACTORY transmission fluid (up to 11 qts). Service & pressure-test cooling system. Drain & replace coolant (up to 1 gallon). Inspect all belts & hoses. As applicable for vehicles under severe operating conditions. Toyotas only. Discount taken off regular posted price. Must present coupon when order is written. Plus tax & shop supplies. Not valid with any other offer. Prior sales excluded. Valid only at Stewart Toyota. 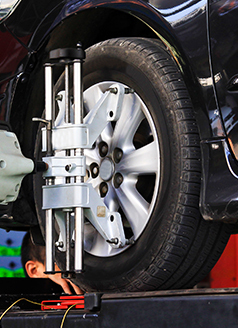 Improve fuel economy and prolong the life of your tires by maintaining your tire alignment. See advisor for full details. Please present coupon at time of write-up. Toyotas only. Must present coupon when order is written. Plus tax & shop supplies. Not valid with any other offer. Prior sales excluded. Valid only at Stewart Toyota. Toyotas only. Discount taken off regular posted price. Must present coupon when order is written. Plus tax & shop supplies. Not valid with any other offer. Prior sales excluded. Valid only at Stewart Toyota. Excludes rear drum brakes.